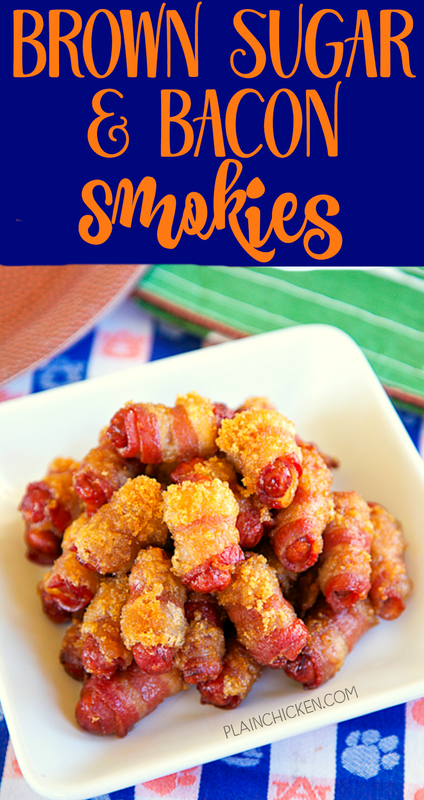 Brown Sugar and Bacon Smokies - only 3 ingredients and ready in under 30 minutes! These things fly off the plate at parties. I always double the recipe. SO GOOD!!! I think everything tastes better with bacon. Especially bacon and brown sugar! Sweet and salty is my favorite! 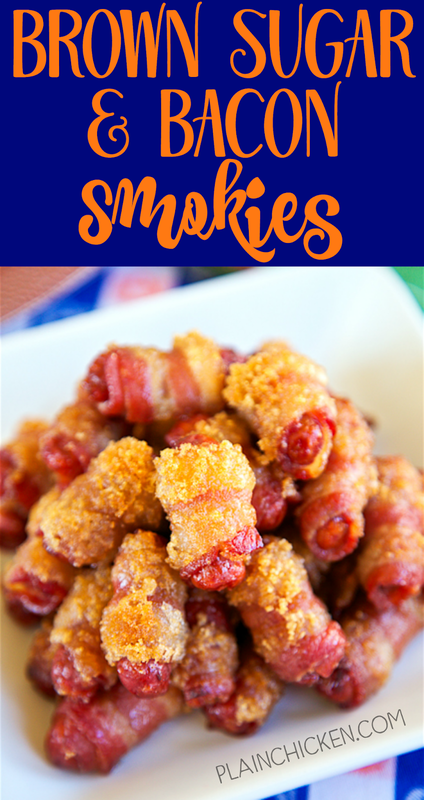 These Brown Sugar Bacon Smokies are ridiculously good!! 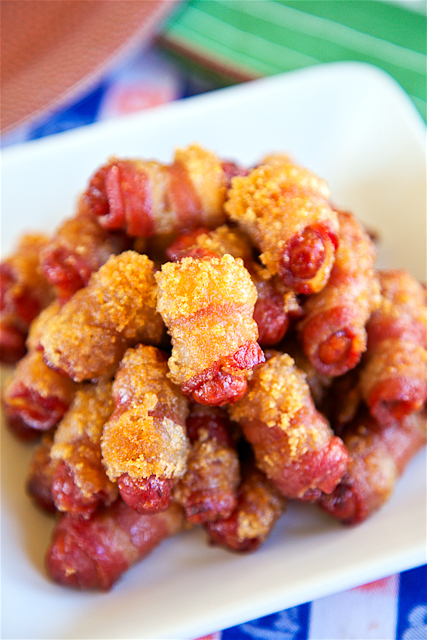 I love a good pig in a blanket, but these Brown Sugar Bacon Pigs are my new favorite! They are great for tailgating and any upcoming holiday parties. I like to wrap the little smokies in bacon the day before and top them with brown sugar right before I bake them. I bake these Brown Sugar Bacon Smokies on a baking rack in a foil lined pan. Baking the smokies on the baking rack lets the grease fall down into the pan and help get the bacon crispy! 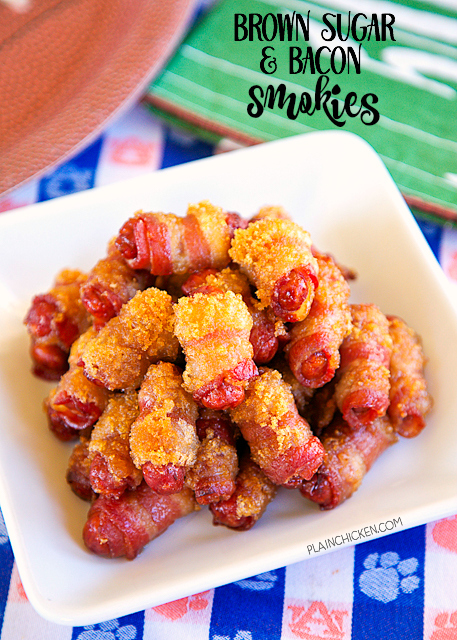 Just so you know, these Brown Sugar Bacon Smokies are super addictive. You might want to double the recipe. I might sampled a few before the tailgate. You know, for quality control testing! These taste great right out of the oven or at room temperature. The salty/sweet combination of these ingredients are awesome! You know football is on tv almost every day. So these could be dinner for Monday, Thursday, Friday, Saturday plus Sunday! THANK YOU FOR SHARING!! !